How do allergens effect people? How allergens can be a workplace contaminate. 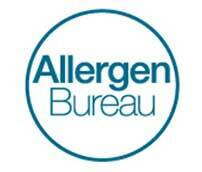 How to control allergen contamination in the workplace. Undeclared allergens are the second most common reason for food recalls in Australia with 192 between January 2006 to 31 December 2015. Completion of this online course will assist in the development and implementation of effective allergen management procedures. Anyone who is working in the food industry. The online course contains a number of activities designed to reinforce the key skills and knowledge outcomes and a short knowledge check at the end of the course. Upon successful completion of the course a Certificate can be printed online. Patrycja is your first point of call for food safety training, supply chain or consultancy solution enquiries. © 2019 Integrity Compliance Solutions. All Rights Reserved.